I for one need to know the answer to Ventahl’s riddle! 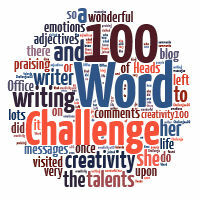 Those of you who do the 100 Word Challenge with children will recognise this week’s picture. It is not that I’m cheating or taking the easy way out! I want you to look at it with a different view point. I want you to think of it from the perspective of VEGETARIANS! See I told you it was different. As usual keep it PG, link back to here and make sure you visit the others! The link closes at midnight on 31st October. Click here to enter your link .You will be taken to another page but I will transfer them to this page. I am on holiday for a few days so please tweet me if you are on twitter to let me know when you have posted. If you’re not on Twitter, leave a comment below. Excellent prompt! Have a lovely holiday. And yes, I also want to know what that riddle was – although I have an idea.